In the last season, we saw the elevation of players like Ben Simmons, Jayson Tatum, Donovan Mitchell and Kyle Kuzma who not only became the stars of the franchise during the regular season, but were a reckoning force during the postseason as well. 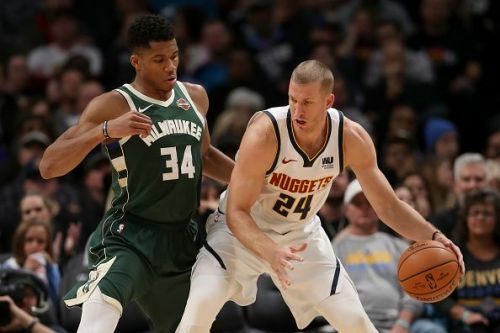 It's only after 2003, the draft class which had the franchise-changing players like LeBron, Wade, Bosh, and Carmelo, now after nearly 15 years, this new crop of young NBA players have made havoc in the NBA. Most of these players have been compared to previous NBA greats and that can only signal one thing- the future of NBA is excellent. The discussion for the next MVP has three players in this list and they are under 25 years of age. The powerhouse of the unexpected defense of the Houston Rockets, Capela became the centerpiece of yet another surprising season by the Rockets squad. One thing which D'Antoni has been criticized for is lack of defense. However, with the addition of CP3, the approach of the team changed and Rockets who were in the late 20's back in 2017 became a top 5 defensive team last year. Capela further proved his worth by being the focal point of the Rockets pick and roll offense. He signed a 90 million extension, which is much lower than what he is worth and his contribution, Rockets are only paying him half of what they're paying Paul. 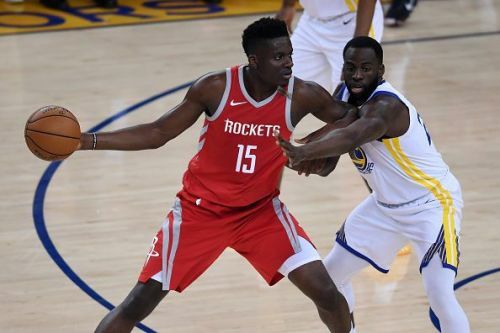 Still, Capela has a bright future ahead of him and he'll continue to be dominant on the defensive end and maybe fight for the All-Defense Team.